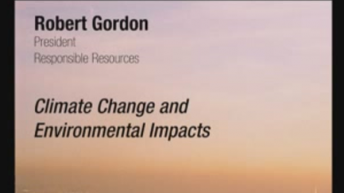 Robert Gordon is president of Responsible Resources. Prior to joining Responsible Resources, Gordon served as professional staff of the Committee on Resources in the 108th and 109th Congresses, where his primary work was on a measure to amend the Endangered Species Act, which passed the House of Representatives with substantial bipartisan support. He also conducted oversight and investigation on issues such as the management of international environmental programs, the management of funds derived from excise taxes on hunting and fishing, and other environmental issues. Before joining the committee, Gordon served as director of the National Wilderness Institute, which he co-founded in 1989. At NWI, he managed major research and litigation, worked with federal whistleblowers, and regularly testified before the United States House and Senate on issues such as wetlands, property rights, international environmental designations, sportsmen’s excise taxes, and endangered species. He also served for two terms as a board member of the Commonwealth of Virginia’s Board of Conservation and Recreation.